The trigger for this blog is bit interesting. 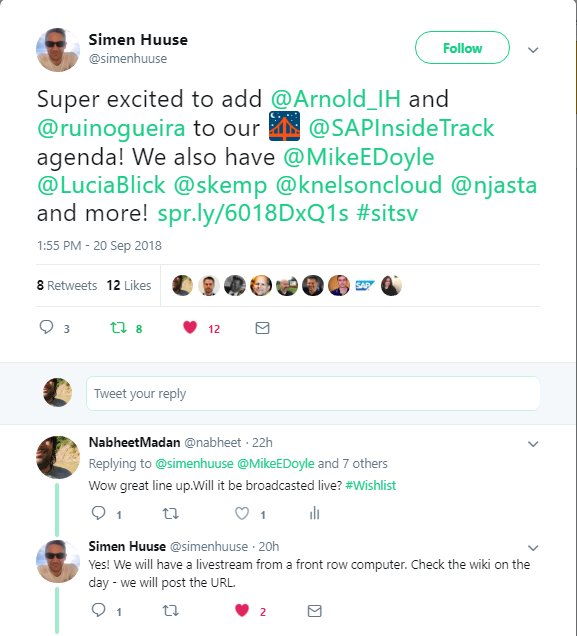 Yesterday i saw this tweet from Simen Huuse where it was mentioned about upcoming SAP Inside Track in Silicon Valley. On inquiring whether it will be broadcasted live, came to know yes. Next thing for me was to check the agenda and block time in my calendar. 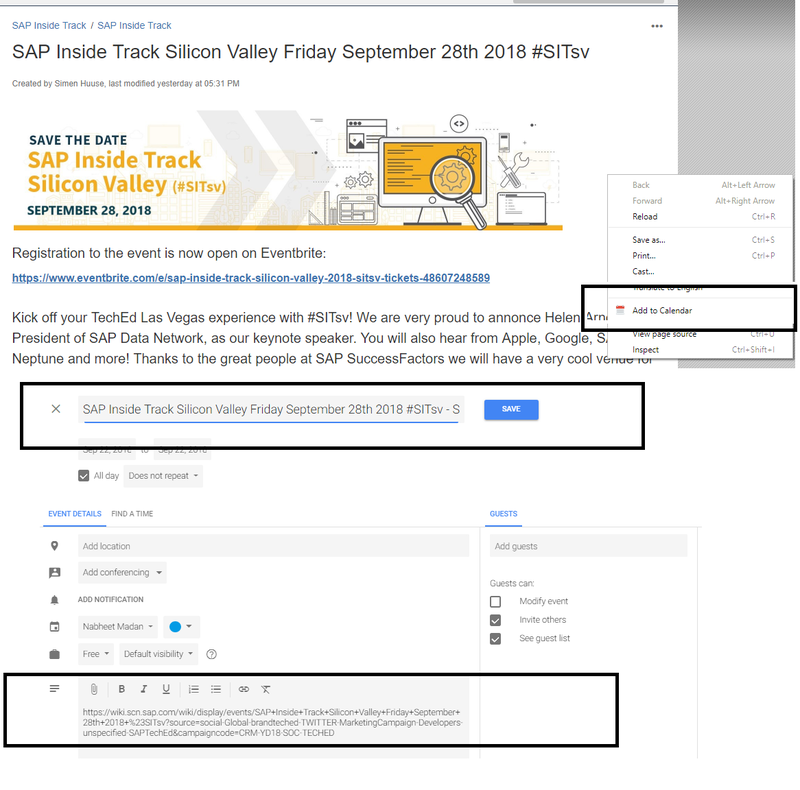 Could not find any direct option to create event in my google calendar with fields such as subject and link of the blog defaulted(although i could do manually copy paste details but why, it should be done at the click of a mouse). Searched in chrome extension also but could not find any so thought of coding one. What we are planning to make? So we are planning to make a chrome extension which will help us in creating quick appointments for the web pages. The overall solution will work as below. Add your date and time press save you are done. Load our extension in chrome via extension->Developer mode->Load unpacked.Extension is up and running. Now we understand the basics of chrome extension next step is to create our appointment extension. In background.js file we have access to chrome object via which we add our Add to calendar option in context menu. It has the option of telling when this option shall be visible in context menu we have chosen always the context field. 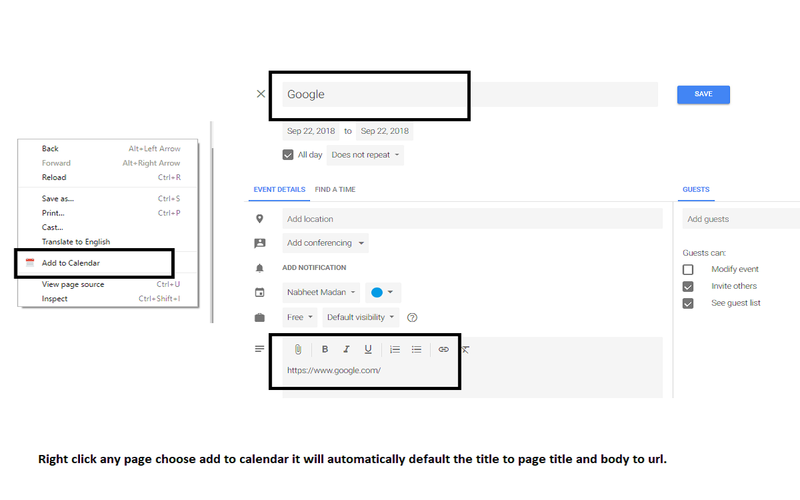 On clicking the button we are calling a function which is opening google calendar in a new tab. The point where we are stuck right now is how to read DOM data of active tab, as in current method we have access to DOM of the extension not the parent page DOM. So we need to somehow talk to our content script via which we can access it. Chrome provide us a very easy solution of using chrome.tabs.sendRequest which can make call to content script which can return us the title and url. In content script we already have the listener. Since now we have the basic plugin already in place, next step is to enhance it with more features for example it shall be able to predict dates from the text etc.Feel free to provide your feedback open to all years. Complete source code is available to adapt as per your need.